There are few greater reasons for joyous celebration than the arrival of a new little bundle of joy into the world. The birth of a new baby is always a monumentous occasion when friends and family gather to share in the euphoria of the miracle of birth. If someone dear to you is expecting a baby and you are stuck for inspiration when it comes to selecting a new baby gift, why not opt for a gorgeous bouquet of fresh flowers? 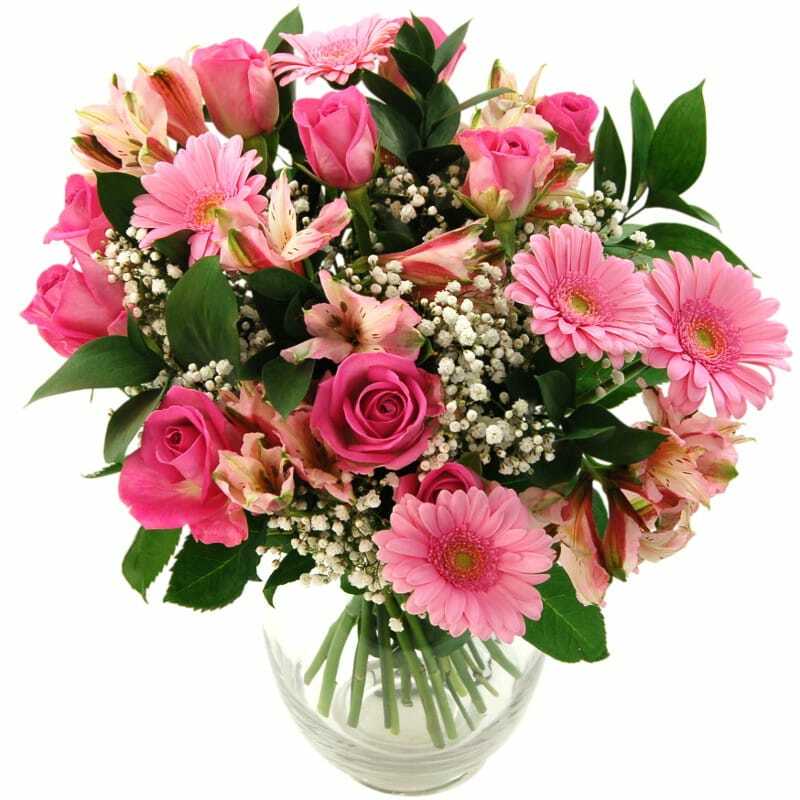 With Clare Florist it's easy to send new baby flowers to a relative or close friend who just given birth. We even have specially designed bouquets for the occasion such as our strikingly pretty It's a Girl! Baby Bouquet, a heart-melting arrangement which consists of the freshest pink roses, alstromeria, germini, and white gyp. If you really want to spoil a proud new mum, you could also opt for the ultra generous Baby Girl Flower Gift Set, an amazing gift package which is comprised of a gerbera, rose and freesia bouquet accompanied by a handwritten card, cute and cuddly teddy, and a chic glass vase. It's sure to a be a memorable and greatly appreciated new baby gift for any proud parents. Each of the above new baby flower gifts are available with free next working day delivery or you can even order for weekend delivery (a small surcharge applies). There are tons of optional extras you can add on such as sweet and tasty chocolates if you really want to treat someone who is very close to you.